In our previous articles exploring the MHD way we have looked briefly at a number of the scientific and philosophical principles that underpin what we do, what we believe and why. We have examined Cognitive Behavioural Therapy and REBT, two similar psychotherapies perhaps born from stoicism. It therefore seems appropriate to take a deeper look at Stoic philosophy today. In this blog, we will look at the Stoics and next week we will talk more about the basics of Stoic philosophy and how we can use them for a calmer life. Stoic philosophy is not just the product of one person’s thinking but rather an accumulation of thoughts from many people adhering to a guiding set of principles which include enduring hardship with complaint, showing few or no emotions and an apparent imperturbability. The stoics came from a wide range of backgrounds ranging from slaves to the most powerful people in the world. Perhaps the first stoic was Zeno although he was probably influenced quite heavily by Socrates. Zeno lived around 300 years before Christ in Athens and taught his philosophy in a porch called the Stoa Poikile, probably partly in an effort to counter the teachings of Epicurus who believed in a more material existence. Zeno was probably quite a wealthy man who shunned most of the extravagant trappings that could have gone with his position. History tells us that he sought out the great philosophers of his time following a chance encounter in a book shop following a shipwreck of all things. Try staying calm after that! Unfortunately, little remains of Zeno’s teaching. Fortunately, the philosophy didn’t die with him but continued with others taking the system of thought and behaviour forward. Seneca, or Seneca the younger is our next great stoic although we have jumped a number of centuries since Zeno and missed out a few of the big names in the interest of brevity. Seneca is often described as a statesman and dramatist who wrote the tragedies Medea and Thyestes. He was actually quite a prolific playwright, but it is believed that everything he wrote was a tragedy. In his early life he experienced some success as a politician until he offended Caligula who ordered his suicide. Thankfully he was relieved of this because he was ill at the time and it was felt that he would die anyway. Seneca was undoubtedly influenced by Zeno and Zeno’s own student, Cleanthes and these influences can be seen clearly in his own works. Seneca seemed to view philosophy as a psychological balm as do we here at MHD and we will elaborate on this further along in the series. Having escaped death by suicide when ordered by Caligula he succumbed eventually to the same order given by Nero, severing blood vessels in his own arm and dying of exsanguination. 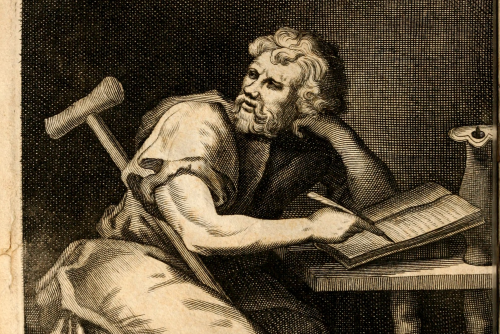 Jumping forward another 100 years or so we have our favourite stoic, Epictetus, born a slave and author of one of the best-selling philosophy books of all time; The Enchiridion, which comes from four his surviving discourses saved and compiled by his contemporary, Arrian. Key to a significant link between CBT and Stoicism is Epictetus’s notion that the discipline needs to be a way of life rather than a theoretical discipline. One of the big challenges in delivering CBT is to encourage an understanding that the techniques learned need to become a habit and not just a one-off homework task. Epictetus also taught that all external events are out of our control, but personal responsibility cannot be overlooked. Many psychologists will be aware of the events and actions of Vietnam war veteran, Admiral James Stockdale, who survived eight years of incarceration and taught us a great deal about the twin evils of optimism and pessimism, choosing a balanced approach when facing adversity. Stockdale, when captured, had a copy of the Enchiridion about his person when captured and spoke regularly throughout his life on Stoicism and Epictetus. If some of our stoics have fallen foul of powerful men, our next philosopher reverses this trend by being perhaps the most powerful man on the planet during his time – Marcus Aurelius. Marcus Aurelius was known as one of the five good emperors and served in this role during the late second century AD. Despite being considered a ‘good’ emperor his treatment of Christians is a source of some debate but he did leave us with one of the best philosophy books of all time – Meditations or To Himself, which we will look at in greater detail in further blogs in this series. Aurelius is known to have acknowledged his grandfather for teaching him how to avoid an ill temper and this philosophical attitude shows through in his greatest work which focusses on service and duty. 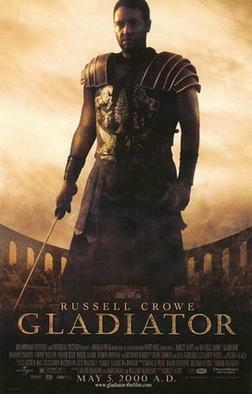 Aurelius died in Vienna in 180 AD of natural causes and was not assassinated as is portrayed in the film Gladiator (although we enjoyed it immensely). Stoicism has been studied, followed, developed and used by thousands of people to varying degrees for over 2000 years. There are even scholars who suggest biblical characters were influenced by Stoicism and for sure, there are many stoic tenets even in the gospels themselves. Next week we will highlight some core principles and how we can use them to make ourselves feel calmer and less stressed in the modern world.